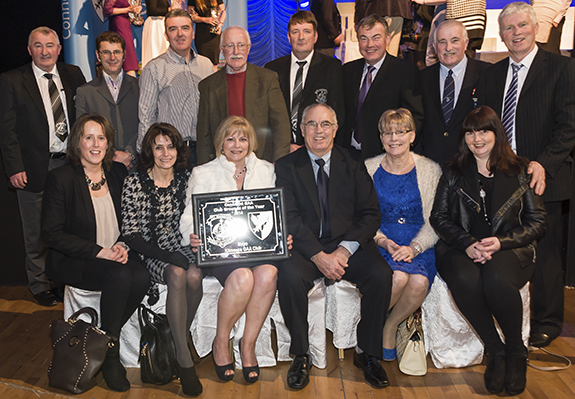 Kilmeena GAA Club was honoured with yet another milestone in its long history on Friday night last at the Connacht Council GAA Awards, in the Travellers Friend Hotel Castlebar. 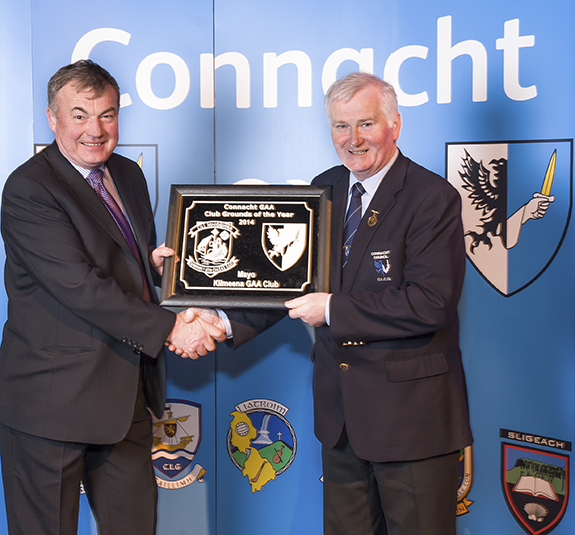 The presentation of the “Mayo GAA Club Grounds of the Year” award was accepted by the Chairman, Willie Keaveney, on behalf of the club, from the President of the Connacht Council, Frank Burke. The award is in recognition of the outstanding facilities at the club, enjoyed by young and old, achieved through the hard work and energy of club members through the years. The Mayo County Board recognized those efforts by awarding that coveted title to the club on Friday night. A fitting accomplishment for the Club in its 125th year. This award also put us in line for the Connacht Club Grounds of the year. 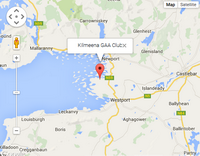 Alas, it was not to be, as that award went to Strokestown GAA Club from Roscommon. Nevertheless, this is an award that the community and club members can justifiably be proud. Another Kilmeena Club man, Willie Kelly, also received an award in recognition of his long service as the Mayo GAA Board representative on the Connacht Council. 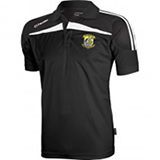 Willie retired this year following many years of sterling service to the Council only to take on another post as Development Officer with the Mayo County Board. We wish him well in his new post. Club members basking in the glory! 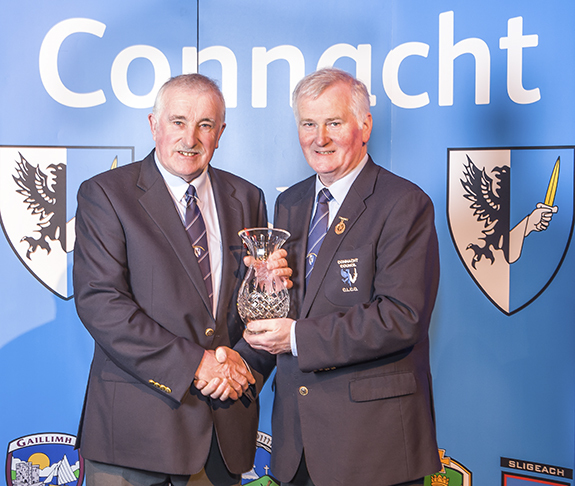 Willie Kelly receiving his award from Frank Burke, Connacht Council President. 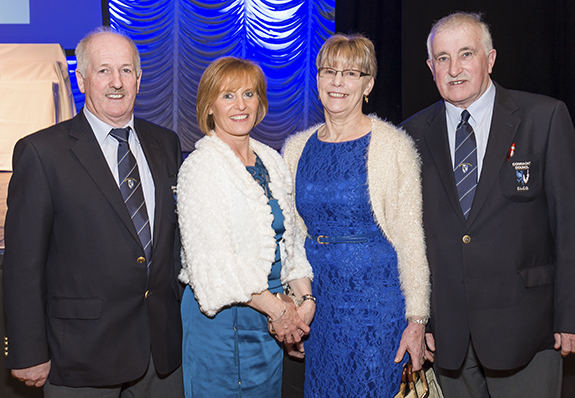 John Hopkins, The Neale GAA Club, Treasurer of the Connacht Council, and his wife Bridie with Chriss and Willie Kelly at the awards.